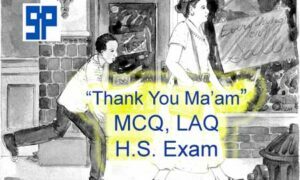 Prepare MCQ-SAQ-Grammar on Poetry of Earth for Higher Secondary exam. Know about the author: John Keats. 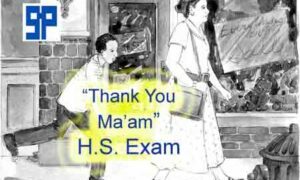 Get clear ideas about Multiple Choice type Questions as well as Short Answer type Questions and also Textual grammar questions of the poem poetry of earth for better preparation. According to Keats, the music of the earth ceases —- at no point. All the birds are faint with—— the hot sun. The voice of the grasshopper will run from—- hedge to hedge about the new mown mead. The grasshopper takes rest beneath some pleasant—— weed. The winter evening is—— lone and silent. The frost has wrought—– silence. The shrilling voice of the grasshopper comes from—— the stove. The song of the cricket increases—— the warmth. 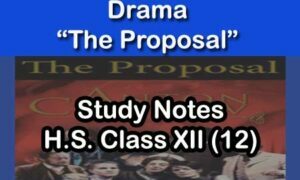 According to the drowsy man, the song of the Grasshopper is coming from—— grassy hills. The cricket is the symbol of—– winter. Keats Uses—– music as the symbol of poetry. This poem is a—— Sonnet. The form of the poem is—– Petrarchan. The stove refers to the—– fire place. His delight means—– the enjoyment in summer time. One might hear the shrilling voice of the Cricket from the fire places. A grasshopper is seen in the bushes under the weed and in the grassy hills in summer. The voice of the grasshopper that runs from hedge to hedge is referred to here. What increases the warmth in winter? The cricket’s song increases the warmth in winter. The frost has wrought silence. What does the poet mean by the poetry of earth is never dead? The poet wants to show that the music of nature never ceases. Who has never done with his delights? The grasshopper has never done with his delights. Why do the birds hide in cooling trees? Being tired the birds have to take rest under cooling trees. He takes the lead in summer luxury. The frost has wrought a silence. He has never done with his delights. The poetry is written for earth. It never dies. A voice will run. It will run among hedges. The Grasshopper has never done. It stays in delight. The frost has wrought a silence. It is from the stove there shrills. The Cricket’s song, in warmth increasing ever. It seems to one in drowsiness half lost. When all the birds are faint with the hot sun, and hide in cooling trees. When tired out with fun he rests at ease beneath some pleasant weed. On a lone winter evening, when the frost has wrought a silence. The Cricket’s song, in warmth increasing ever, and seems to one in drowsiness half lost. That is the Grasshopper who takes the lead in summer luxury. The lead is taken by him in summer luxury. A silence has been wrought by the frost. His delights have never been done with. The poetry which is written for earth is never dead. All the fainted birds in hot sun hide in cooling trees. Being tired out with fun he rests at ease beneath some pleasant weed. It is a lone winter and the frost has wrought a silence. When it is warm the Cricket’s song is increasing ever. The poetry of earth never dies. A voice will run from hedge to hedge. The Grasshopper stays in delight never having doing it. The frost has wrought a silence and it in from the stove there shrills. The Cricket’s song which increases in warmth seems to one in drowsiness half lost. All the birds are faint with the hot sun. They hide in cooling trees. He tired out with fun. He rests at ease beneath some pleasant weed. That is a long winter evening. The frost has wrought a silence. The Cricket sings. The warmth is increasing ever. It seems to one in drowsiness half lost. 5. That is the Grasshopper. He takes lead in summer luxury. 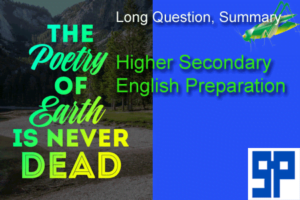 So the above MCQ-SAQ-Grammar on Poetry of Earth for Higher Secondary will help you to prepare your next H.S. Examination.